Description: Ted Turner's Vermejo Park Ranch in northern New Mexico is the largest privately owned, contiguous tract of land in the United States. Encompassing 900 square miles and six biogeographic life zones, Vermejo Park rivals many western National Parks for sheer size, biological diversity, abundance of wildlife, and fishing opportunities. 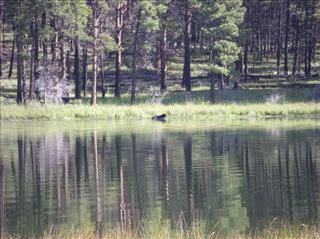 The Rocky Mountain Angling Club is an affiliate partner with Vermejo Park, meaning that RMAC members can enjoy Vermejo's 21 lakes and 31 miles of streams at 15% off the ranch's standard guest package of $550 per day, which includes world-class lodging, meals, fishing, and additional amenities. ); INSERT INTO `wp_rmanglingpostmeta` (`post_id`, `meta_key`, `meta_value`) VALUES (o a reservation, call the ranch at 505-445-3097. RMAC members must mention that they belong to the Club when making reservations. Please call RMAC after making a reservation to let us know the dates you will be staying there.